Tiya Miles is Professor of History at Harvard University. 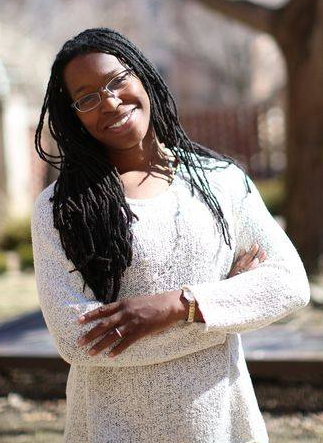 A recipient of a MacArthur Foundation “genius grant,” she is the author most recently of The Dawn of Detroit: A Chronicle of Slavery and Freedom in the City of the Straits, which has received multiple awards from leading historical organizations. Her first book, Ties That Bind: The Story of an Afro-Cherokee Family in Slavery and Freedom, received awards from historical, humanities, American studies, and Native American studies associations, including the Frederick Jackson Turner prize from the Organization of American Historians for the best first book in American history and recognition from the Native American and Indigenous Studies Association as one of the ten most influential books of the first decade of the twenty-first century. She is also the author the novel The Cherokee Rose, a Lambda Literary Award finalist in fiction and a Publishers Weekly Pick of the Week; Tales from the Haunted South, an historical travel narrative; and The House on Diamond Hill, a history of plantation slavery in the Cherokee Southeast. Miles has published various personal essays on race, feminism, and identity as well as academic articles on women’s history and black and Native interrelated experience and is a contributor to the opinion pages of The New York Times.